Please note that there are no adapters or cables supplied with the iPad. Ironed and strengthened. Even slimmer and faster but just as sophisticated, enduring and elegant as its predecessor. The iPad Air 2 is surrounded by many superlatives and is really the fastest iPad so far. 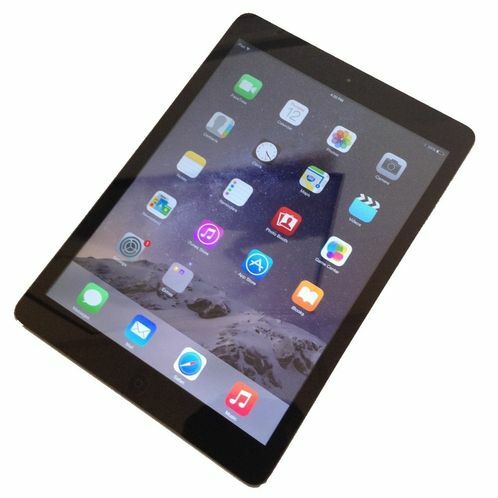 The Apple iPad Air 2 does not really differ from its predecessor in terms of design, it is only slightly thinner. However, there are big changes inside the case: The communication modules are faster, and the processor and the graphics solution also show significant performance advantages. The display is as it was, only the viewing angle stability has improved even further.